How many of them chose neither sports nor music ? 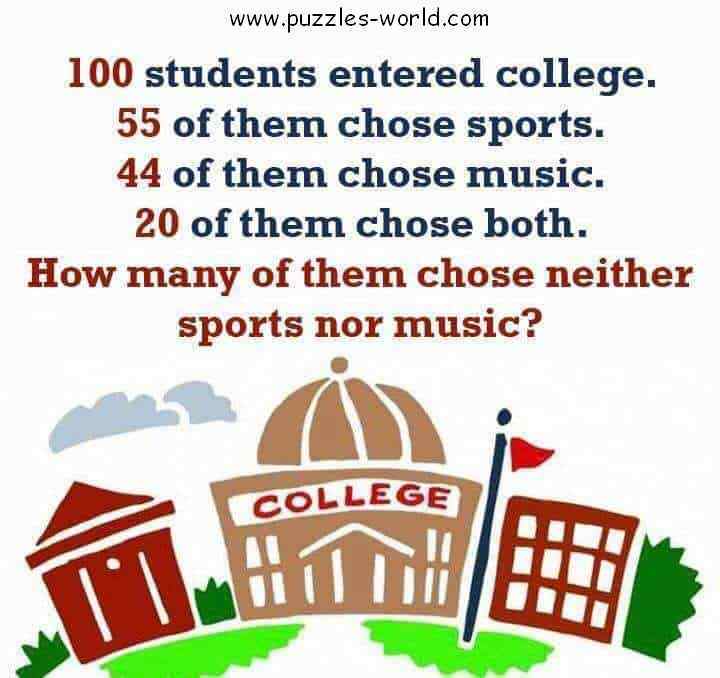 How many students chose neither sports nor music ? 55 of them chose sports. 44 of them chose music. 20 of them chose both. 21 Students chose neither sports nor music.